Richard Franz was born on 10 October 1922 at Düren. Franz was serving with JG 27 in June 1942. 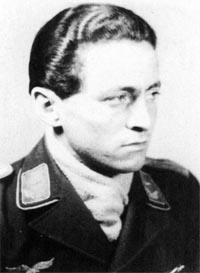 In October 1942, Franz was transferred to Ergänzungs-Jagdgruppe Süd to undertake an instructing role. By July 1943, Franz was serving with 3./JG 77. He recorded his first victory with the unit when he shot down P-47 fighter on 30 January 1944.  In February 1944, Leutnant Franz volunteered to join Sturmstaffel 1 based at Achmer. The unit operated heavily armed and armoured Fw 190 A fighters to combat the growing numbers of Allied four-engine bombers raiding Germany. Franz claimed his first victory with his new unit on 8 March, when he participated in the interception of USAAF B-17 four-engine bombers raiding Berlin shooting down one for his second victory. He claimed a further two victories in April, both B-17s, to raise his victory total to four. At the end of April, Sturmstaffel 1 was disbanded. Franz was transferred to JG 3 following the disbandonment of Sturmstaffel 1. He was assigned to 11./JG 3. He claimed two further victories shot down in May 1944, both B-17s, to raise his victory total to six. In July 1944, Franz was appointed Staffelkapitän of 7./JG 11. He added 12 further victories with the unit, including 11 in 1945. Details of the majority of these victories are not known although Oberleutnant Franz claimed two Russian Pe-2 twin-engine bombers shot down on 16 April, to record his 13th and 14th victories. On 25 April he was shot down by flak and fighters and fell into Russian captivity. He was released at Christmas 1947. Richard Franz was credited with at least 18 victories. Some sources credit him with a victory total of 22. Included in his victory total are at least five four-engine bombers.